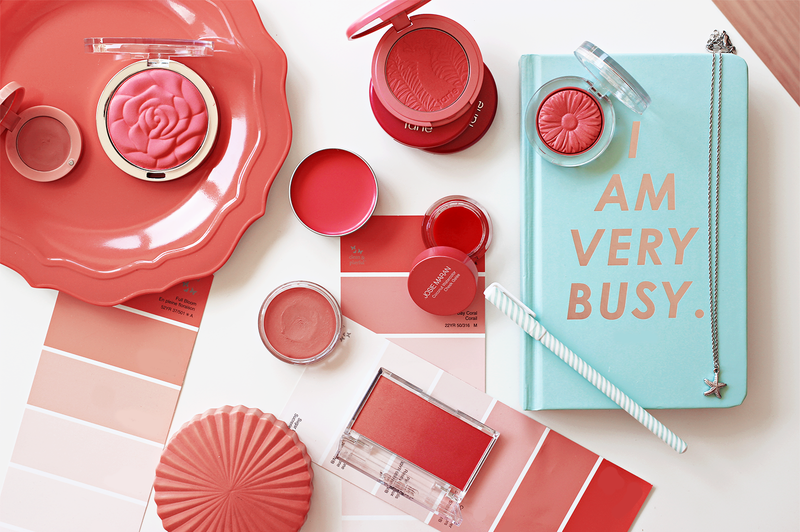 If there's anything that can get me out of a blog slump, it's talking about blush (I've got over 70 shades—shtshtshtsht), and apparently some of y'all have decided to help my out by tagging me to do this post (thanks Jennifer, Ling, Sharlynn, and Tasha!) so let's jump on this coral-coloured freight train. 1 | What colour blush suits you the most? More like, "WHICH COLOURS DO I LIKE AND THEREFORE WANT TO SLAP ON MY FACE EVEN IF IT DOESN'T SUIT ME?" Corals, basically. Of the pink and peachy/orange variety. 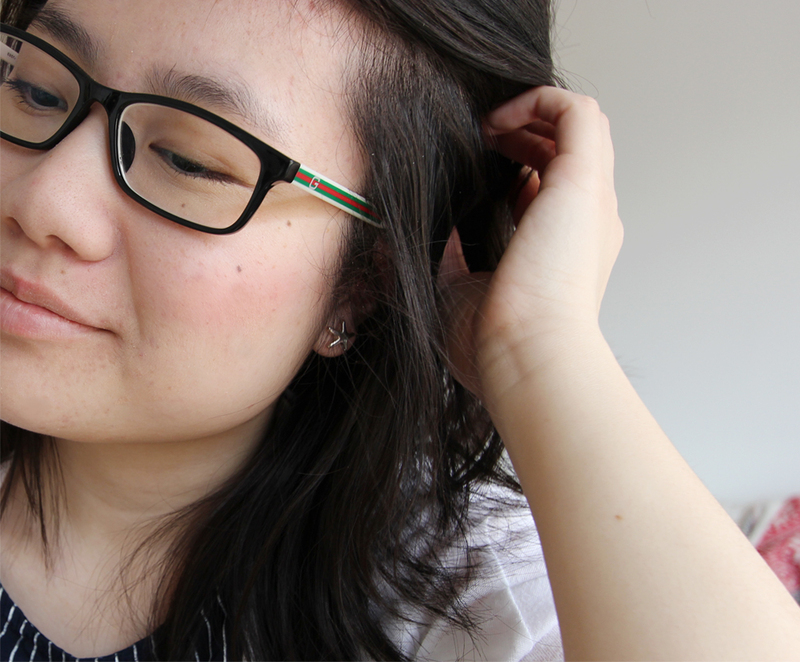 But then again, corals are super flattering on pale and "Asian" skin tones, sooOoOOoo. I love pressed and cream equally, and to be honest, I don't think I've actually tried a loose blush? (Actually, the only 'loose' blushes I've tried are pressed blushes that were feeling very adventurous and decided to parachute off the table sans parachute) But yeah, I think there's a time and place for both. 3 | Favourite shimmery blush? Much like the gym, I tend to avoid shimmery blushes unless I am crippled by periods of low self-esteem. Which means I never really have an opportunity to wear shimmery blushes ahahahahah jks. But on a more serious note, I really don't do shimmery blushes as my face is quite oily naturally, and by the end of the day, I don't want my cheeks to be both glittery and greasy, ya know? MATTES CAN BE EXCITING TOO. But if I am feeling ~bombshell~ that day, I'll apply a highlighter to my cheeks and spend the next five minutes shaking my head back and forth in the mirror just to admire how shiny my face is. 4 | Favourite matte blush? Asking me for my "favourite matte blush" is like asking me to choose which puppy breed is the cutest. Rude, impossible and heartless. ....but yeah I'll do it. TARTE'S 'TRUE LOVE', EVERYONE. (What a fitting name)(Actually, I'm also having a moment with Tarte's 'Tipsy' and Milani's 'Coral Crave'....UGH, CORALS) Tarte's 'True Love' is described as a "watermelon pink"/"pink-coral with warm undertones" and I just think it's a super pretty and no-fuss shade. 5 | Favourite cream blush? I generally opt for cream-to-powder blushes because the regular dewy finish combined with my oil slick of a face generally makes me look like a wax statue melting. I love Chanel's cream blushes, and I have 'Intonation'...a...pink...coral. (Review here) Seriously lasts ALL day on my face without the help of powder and I have to say, worth the $$_$$. 6 | Favourite drugstore blush? NYX's 'Mocha' and Milani's 'Coral Cove'. 7 | Favourite high end blush? 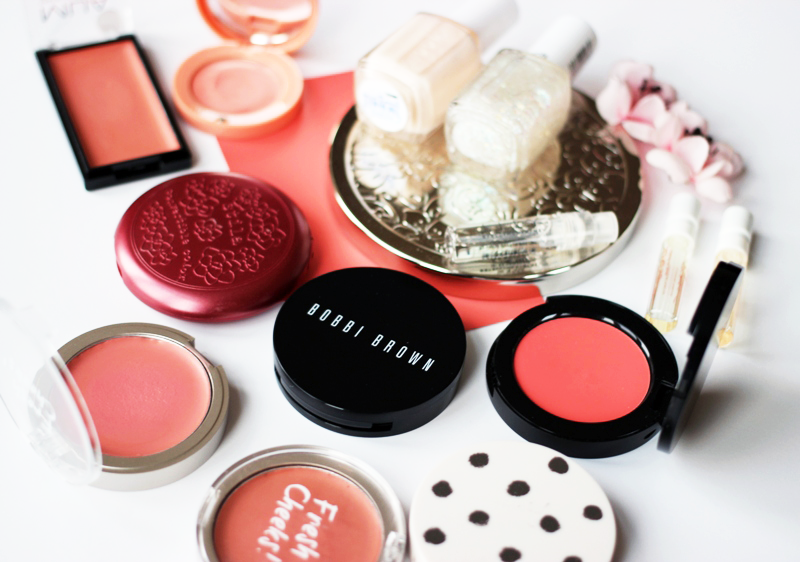 8 | Favourite bright blush? I don't really do bright blushes because erm, tried that once and I just ended up looking sunburned. The brightest blush I own though, is Sleek's 'Flamingo' and my god is it terrifying. 9 | Biggest blush disappointment/regret? Bourjois' powder blushes (nothing wrong with the formula, but the blush reeks all day on the face of old lady roses). Revlon's cream blushes. Benefit's tints (not the easiest to apply + leaves dotted stains on your cheek). 10 | Best blush packaging? Clinique's Cheek Pops, Milani's Rose Powder blushes, Paul & Joe's compacts, Tarte's Amazonian Clay blushes (I just really like the corresponding coloured circular packaging), ESSENCE'S OMBRE BLUSH (seen in the first photo). 11 | What's on your blush wishlist? 12 | Number 1 holy grail blush?